↑ Martínez Díez , Gonzalo (2005). 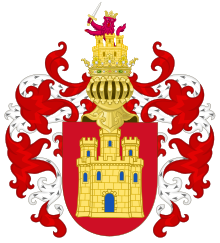 The County of Castilla (711-1038). The history in front of the legend . Valladolid: Junta de Castilla y León. ISBN 84-9718-275-8, pp. 715 and 737. ↑ Procter, Evelyn S. (2010). 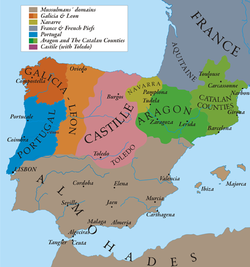 Curia and Cortes in León and Castile 1072-1295 . Cambridge University Press . p.74. ISBN 9780521135320 . ↑ VV.AA. (1862). General history of Spain and its Indies: from ancient times until today ... . 3. Spanish bookstore. p.363.